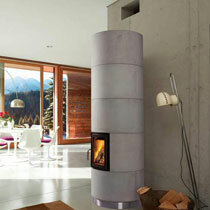 The Ulrich Brunner GmbH has been dealing with the manufacturing of wood stove inserts, specially fireplaces and tiled stoves for over 25 years. Our skilled trade enables us to meet extraordinary requirements according to the customers´ individual wishes and specific requirements concerning a fireplace (wood burning stove or a tiled stove) a stove, or a furnace. During our concept elaboration for your fireplace or your (tiled) stove aquiferous you will find that we work with a high claim to quality in all product ranges. We are more than proud that we can say that we significantly rise above the competition! 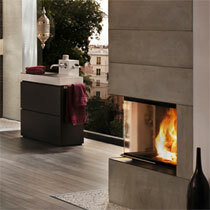 Weight and design of our fireplaces and stoves already speak for a high quality finish. 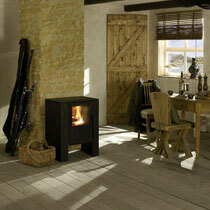 Whatever you may choose, a fireplace, a stove, a tiled stove or a heating- Brunner products are worth their price! All parts are manufactured by skilled craftsmen and 100% made in Germany. Our leading innovations and ideas concerning heating systems, fireplaces, stoves and furnaces have already convinced customers from Munich, Vienna, Salzburg, Hannover, Dresden, and all over Germany. 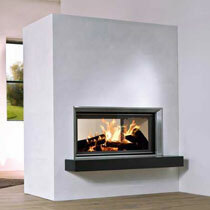 For example we introduced classical ornaments in heating inserts and greatless wood fired heating systems. Combustion air automation as an electronic furnace control and a pellet burner in a pellet oven for fuel wood oven inserts were also technical innovations by our developers. If you have any wishes concerning the design of your fireplace or your stove do not hesitate to talk to our collaborators. In comparison to a normal heating a tiled stove (furnace) gives you the feeling of a cosy and warm home. You will recognise it through its characteristically small heating door with a large burning room. You can choose from a modern or a rustic look. Regarding to the tile stove heating insert you can either select the classic version, or the more modern type, also known as the HKD, with a larger viewing glass. Because we only use best materials we can guarantee that you fireplace will bring you pleasure for a minimum of 50 years. 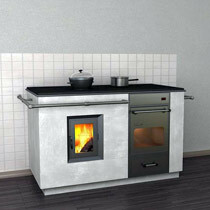 A Brunner stove is always a good investment! 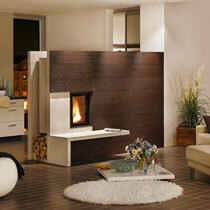 A fireplace provides a romantic atmosphere in every room. Different from the tile stove a fireplace can be built open and can be set up with a big glass plate in order to prevent ember of falling out and in order to achieve an optimum energy gain. But it does not only look good- it will keep you nice and warm. 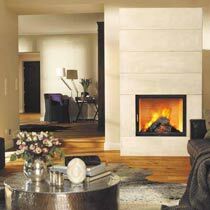 In our product segment fireplaces you can either choose a traditional fireplace or a stove. 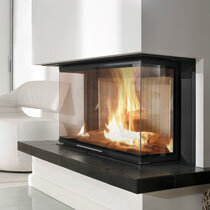 By using a fireplace insert you will be able to regulate the combustion air. You can order this for any degree of heat. Furthermore you can either select a fireplace made of steel or a fireplace made of cast. 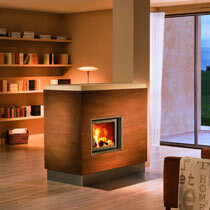 You can see model examples of different fireplaces and stoves on our website. 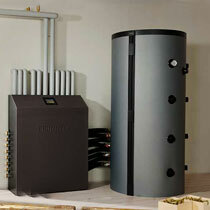 Just take a look at our furnace lexicon. 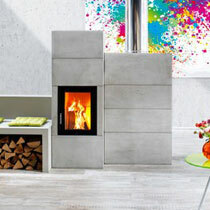 Furthermore you will find more information about heating technology, tiled chimneys and tiled stoves. Central heating by BRUNNER is absolutely new and is also known as heating with guaranteed functioning and the future of a sector. 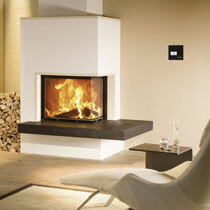 On our homepage you will also find videos about different fireplaces and stoves as well as fuelling properly. Our area search function will help you find your regional Brunner partner near your home. No matter where you are from- we will try our best to provide you with the product you desire.